The Web World has taken over the real world in all terms and domains. Every single person and business out there is striving hard to maintain an appealing image in the online world. Social media is the trend and the craze today with users from every single part of the world making up a member of the social media world family. While every single business and brand is trying to win over customers by the virtue of their Social media handles, the social media post writing is still a vague domain to many. Social Media hosts a treasure of customers for every business out there , and hence the social media post writing deserves to be handled with more diligence. Hash-tag is the most modern trend as is the Social Media. Hash-tag stands for the most intriguing way to attract and lure customers towards your brand name and services. While you brew conversational topics and debated along with the Hash-tag of your brand name, more and more customers get to indulge and know your business and brand name. This is how the audience of the social media channels ends up promoting and learning about your brand and services by the virtue of the Hash-tags. Keep it short:- Social media posts usually have a short life span and people soon get over them. Thus, your social media post should be ideal and of the right size so as to grab a higher rate of customer attention. Longer social media posts might grow tiring and too much for the readers and they might skip it altogether without giving it a thorough read. Thus, the prefect way to make a post engaging is to keep it precise and short. Evergreen posts account for non-specific posts which are not related to a certain occasion and issue but are rather about a more general and casual thing or concept. Such posts can be published or republished at any time according the need and the choice of the person. This is another significant top regarding the social media post writing. It would ensure that you can use and reuse your previous post at any time in the future. Furthermore the evergreen posts make their reach to a larger audience as compared to a specific theme and issue based post. Instagram: Instagram as a social media platform was born later than Facebook, yet, it has grown enormously over the period of time making its reach to a large percentage of audience from all the different parts of the world. Hash-tag is most prevalent and effective on Instagram than any other social media platform. 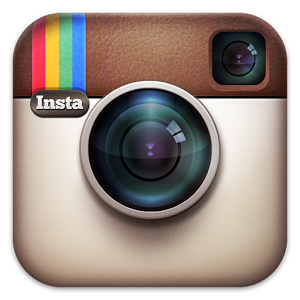 Instagram allows more than thirty Hash-tags to be attached to every single post by a user. 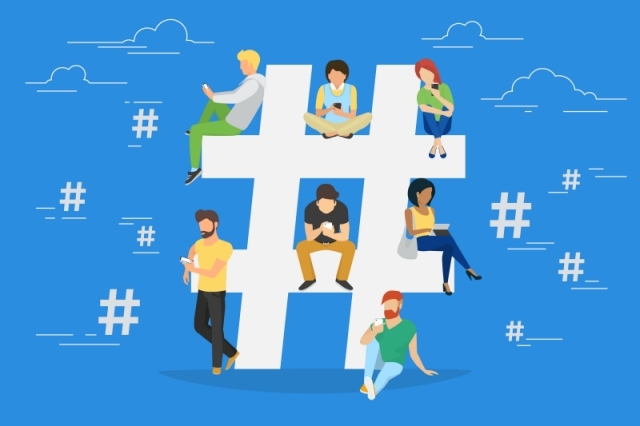 This means that there is a high scope for business promotion by the means of using a Hash-tag as the large number of Hash-tags when used efficiently cater your post and brand name to larger audience than you can potentially reach on any other social media platform. Facebook: Facebook is the oldest social media platform that came out before all others, and hence, has the largest number of users that can be targeted for marketing purposes of your brand and business. With Facebook there is a limitation to the number of Hash-tags that can be used efficiently with a single post. The number usually has to be kept under five so that you can garner maximum benefits by the means of targeting the Hash-tags. As Facebook is used by people belonging to a versatile range if life fields and age groups, it offers you to more potential to make positive image of your business or personal profile.Furthermore, with Facebook you could use a slightly longer length of posts ranging from 80 words to 120 words. Another major tip that has to be considered while drafting posts for your social media handles is that you should keep your post content informative and authentic so as to provide the readers and the audience with all the necessary information that is required at their end before they choose to avail your products and services. Keeping the post content authentic without making any fake data and promises would be the ideal approach to attract more customers to your brand and business profile as it establishes trust in your services. The first thing that needs to be kept in mind while writing your social media post is the fact that the posts are meant for the audience and not for you. Thus, it should be made a point to draft the content of the post to cater to the audience needs and demand, and should not only consist of the content that serve your perception and interests. This would be the appropriate approach to writing the social media posts. Images , visuals and videos have been proved to be the most audience engrossing. Hence, you must attach and include a visual by the means of an image or a video along with the content or text of your social media post so that more number of users are intrigued by it, ultimately bringing your business or personal profile more leads and conversion. Having considered the approach and the factors to be chosen while creating your social media posts, you are now set to get the best of the social media marketing. 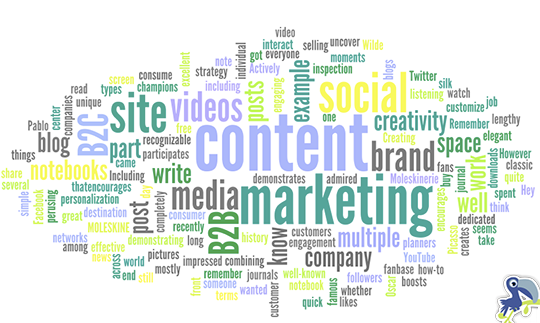 Author Bio: Preaa Sharma is working as a content marketing head at Content Elites which specializes in providing Social Media Content Writing Services. She is a very enthusiastic blogger and loves to share her experience with others.